#1,032 The Beards are Back. – Laurel Mercantile Co.
Now reading: #1,032 The Beards are Back. #1,032 The Beards are Back. 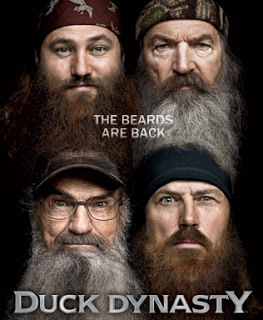 A couple months ago I scoffed when my brother told me how funny this show Duck Dynasty was. I thought it meant that he was finally old and uncool and out of touch. Seriously, a show about a bunch of backwoods rednecks who made it big selling duck calls? No thanks. I don’t need to turn on the TV to watch rednecks. He forced us to sit down and watch an episode. Tonight was the first episode of season 2. That makes 3 shows that will actually make us turn on the television once a week, right up there with Mad Men and The Walking Dead. It’s funny, it’s totally hokey, there’s always a sweet moral at the end. But you know what? This world needs a lot more funny hokey with a sweet moral at the end. Seriously. What the heck do you think this blog is?